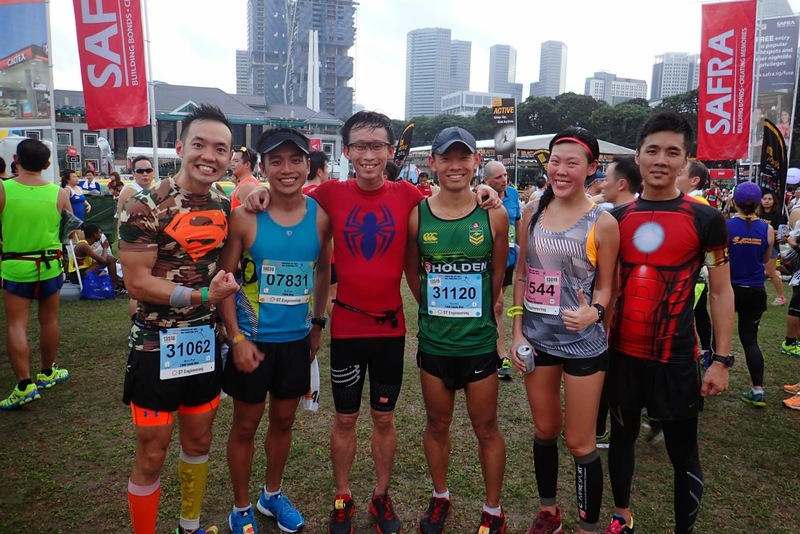 After a solid 6 weeks of training with hill repeats and runs, track and speedwork, tempo and cruise intervals and paced runs through to 21km, the Kingfishers were all roaring to do their best and set some records at the SAFRA Singapore Bay Run & Army Half Marathon 201 (AHM14). 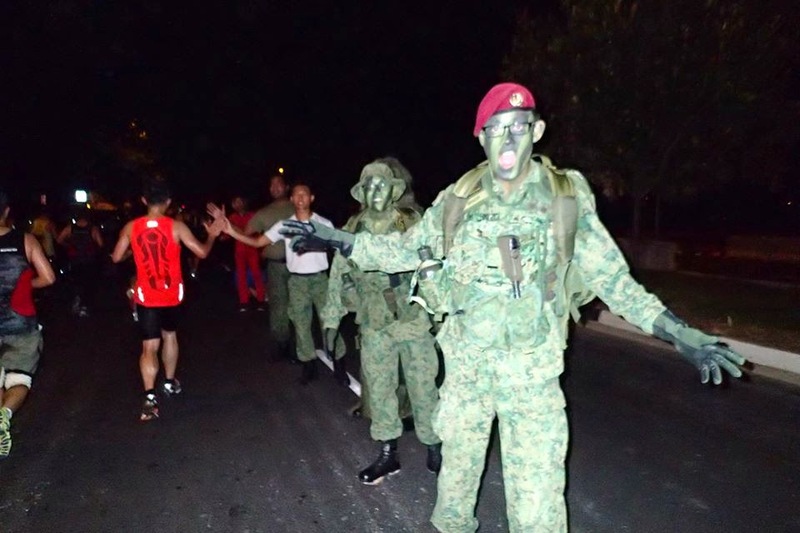 After last year’s route bottlenecks and dimly-lit areas causing slowdown and stoppages to the runners, SAFRA conducted recce runs to receive feedback from the SAFRA Running Club and Team FatBird early to refine the route for a much improved race experience – and the runners were not disappointed this morning, with potential choke points being re-routed, dim areas like the Gardens and Tanjong Rhu areas well-lit and running passages wider and clearer for a much smoother passage. 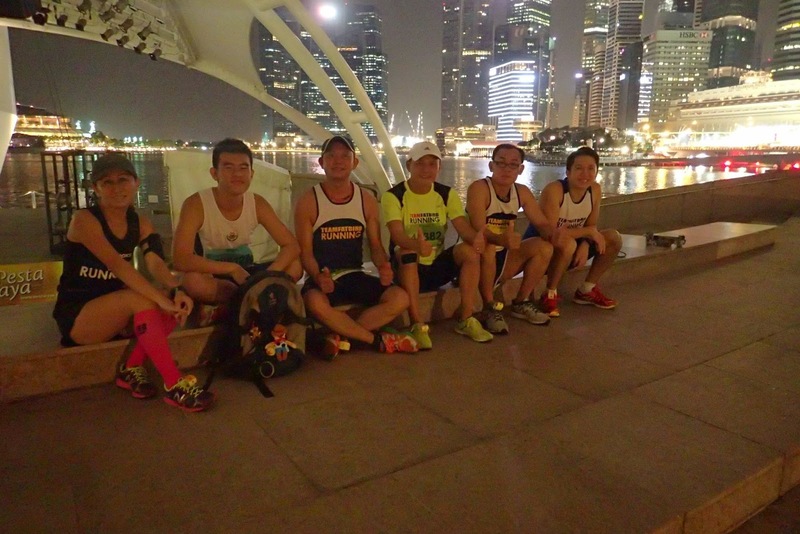 The Kingfishers RV’ed at 4:00am at the Esplanade Amphitheatre in their smart race gear, looking in great condition. 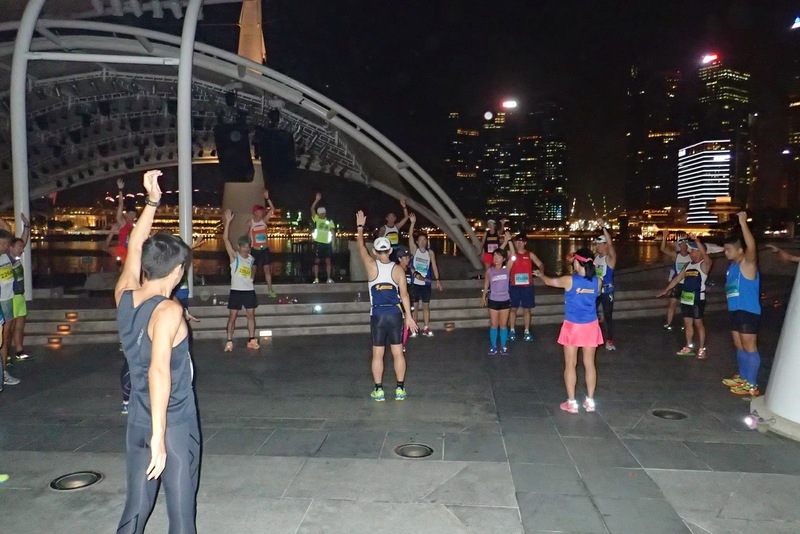 We conducted a mini group warm up and dynamic activation for those who were present and by 4:30am, we had taken a couple of nice group photos and moved into the start corral as a team. 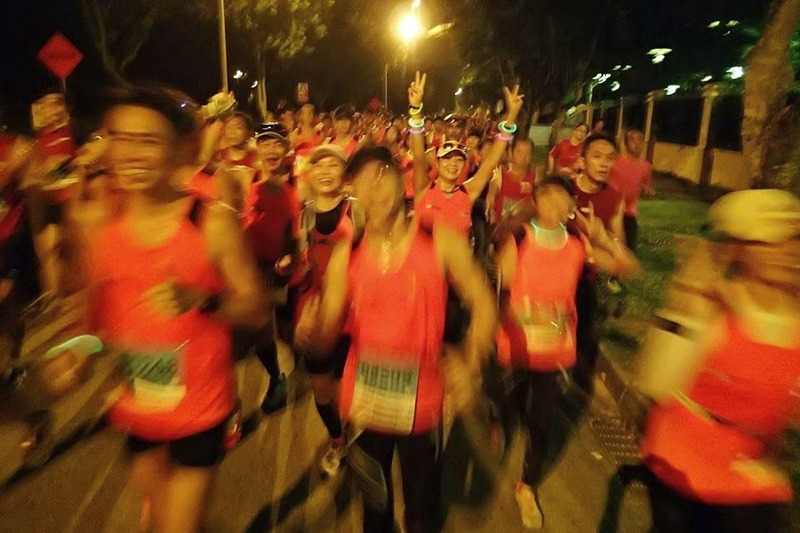 Although some runners thought it was Team FatBird who would be officially pacing for the AHM14, it was actually the runners from SAFRA Running Club forming the large contingent of Half Marathon (HM) Pacers. Some of our FatBird trainers and pacers were on hand to run along with our Kingfishers to provide encouragement and motivation too. The weather at the start was a tad humid, but it got cooler as the crowd spread out after the flagoff at 5:00am. 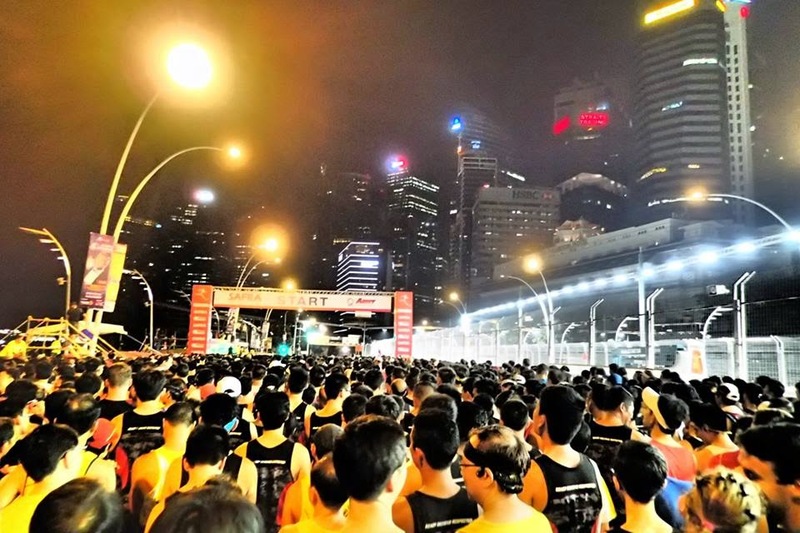 As expected, a large race like the AHM will always be a little congested with many runners, but we had sufficient space this time as the passages are wider. By 3km, we were into the groove and moving ahead quite steadily. As the Pacers did not have their balloons on time, it was quite hard to spot them from the distance – fortunately they were in large enough groups to be seen as we neared them. 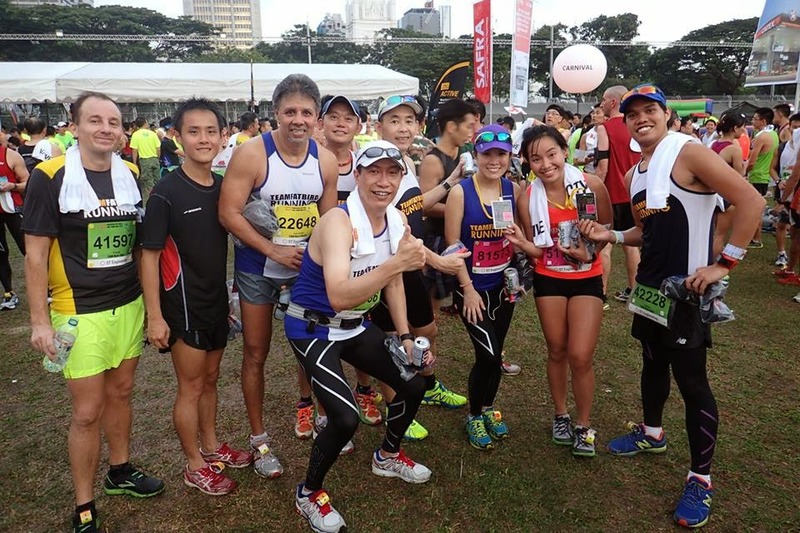 Still, our Kingfishers were trained to manage their own Optimal Paces and run to their respective Race Plans. 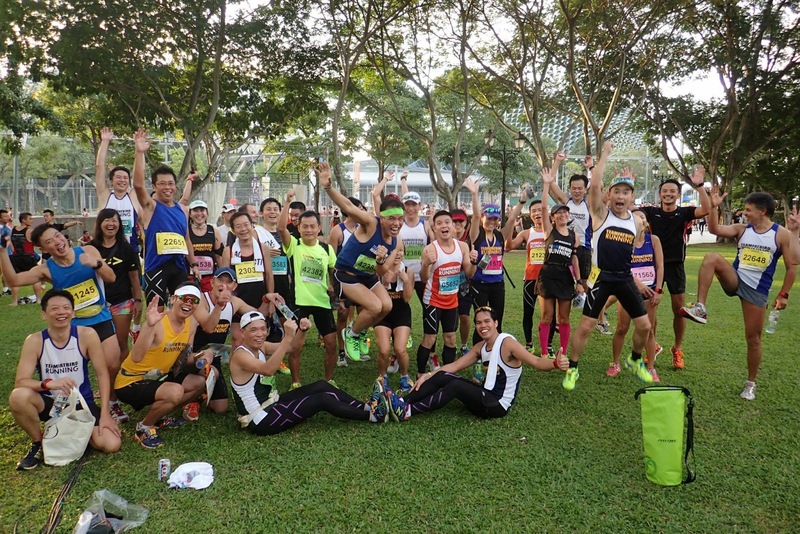 The first half of the race went pretty smoothly, with ample hydration points and some music and cheerleaders especially along the quieter Marina Barrage and Gardens By The Bay. The momentum was fluid with the runners quite well spread out – at least for those aiming for 2:15h and below, there were not many walkers seen. 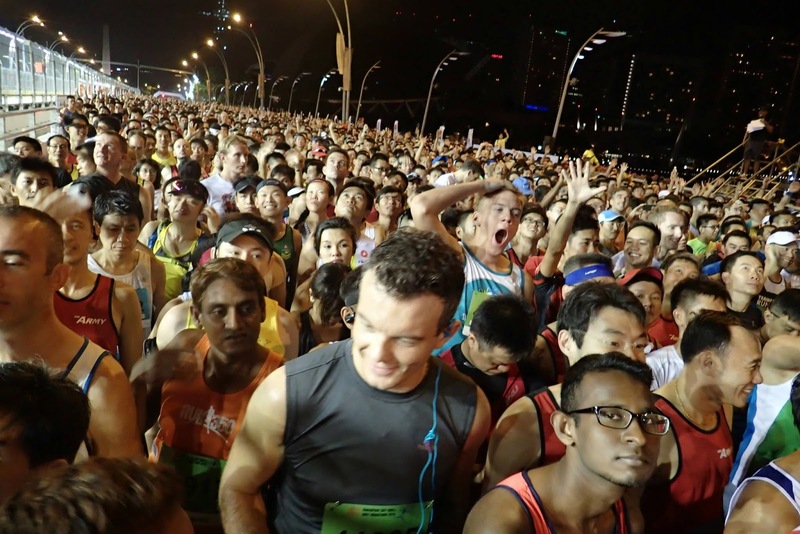 Also, because first light was not out, the number of runners taking selfies and photos were markedly diminished, again minimizing blockages to the running paths. 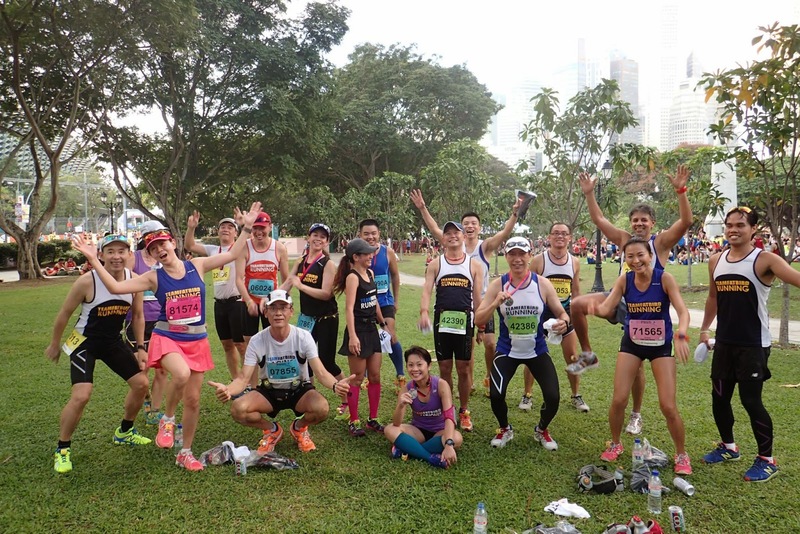 We were able to sustain a good pace, and as practiced during training, a number of us popped a gel after 1hr or 11-12km of running for a sustainable race pace in the second half. Other than a couple of sharper U-turns, the next 10km to the finish was smooth going for many of us. 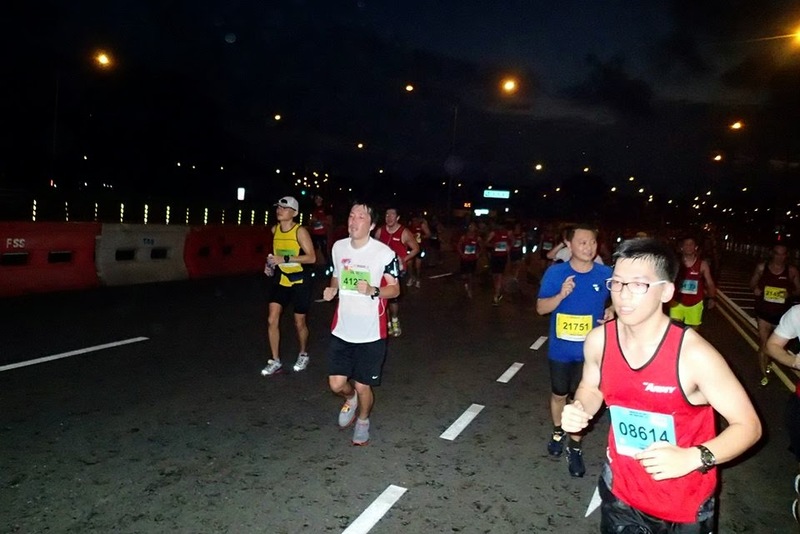 As we neared the finish line at the Padang, we could hear cheers coming on for the Half Marathoners as well as the start of the 10km race on the opposite side of the Esplanade Bridge. 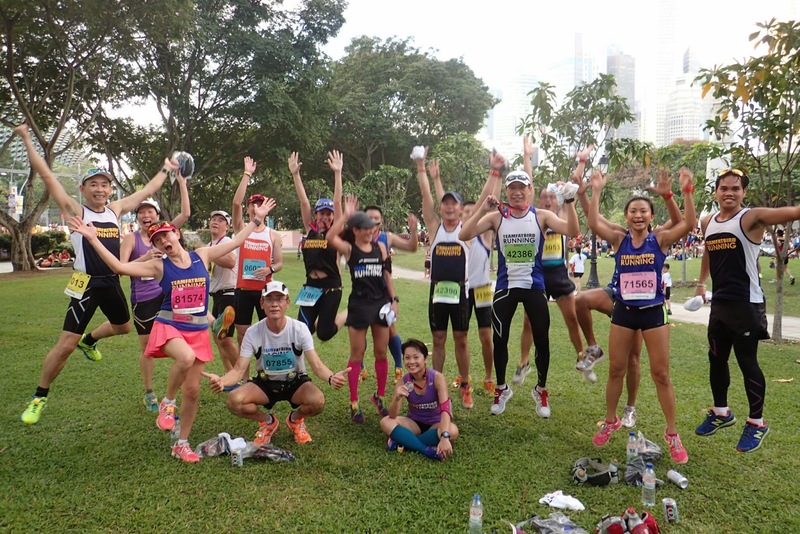 The atmosphere was great as we ran into the finishing chute with our arms raised high for a happy finish. Many of the Kingfishers recorded good timings and Personal Bests (PB). 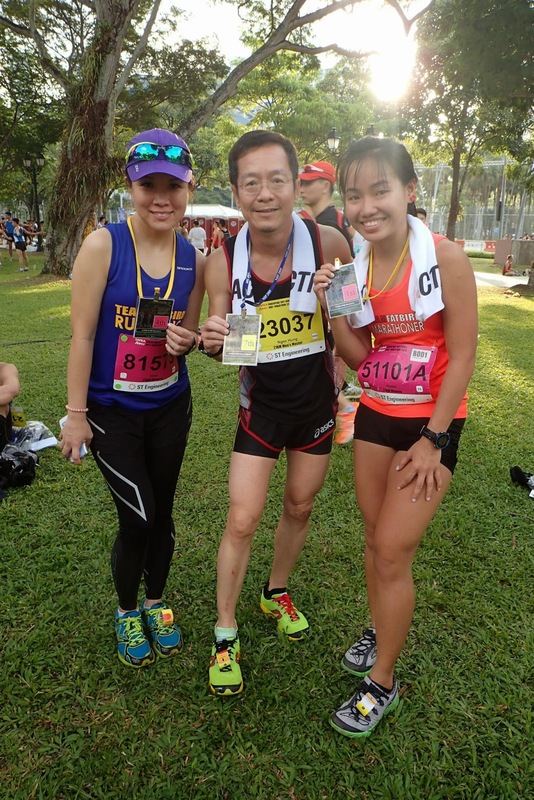 We had 3 Kingfishers who placed top 10 in their respective categories – Congratulations to Kingfisher Mabel (2nd Women’s Open), Kingfisher Ngee Hung (7th Men’s Veteran), Kingfisher Cher (4th Women’s Open, although due to chip timing fault, she could not claim her rightful prize at the end). 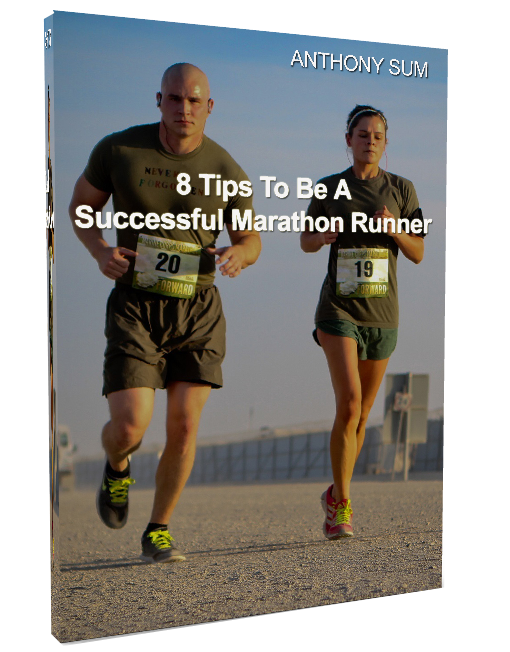 This year’s route distance was spot on compared with than last year’s shorter course – More Kingfishers and runners have actually scored much better race paces and may even record PBs factoring this additional distance in. 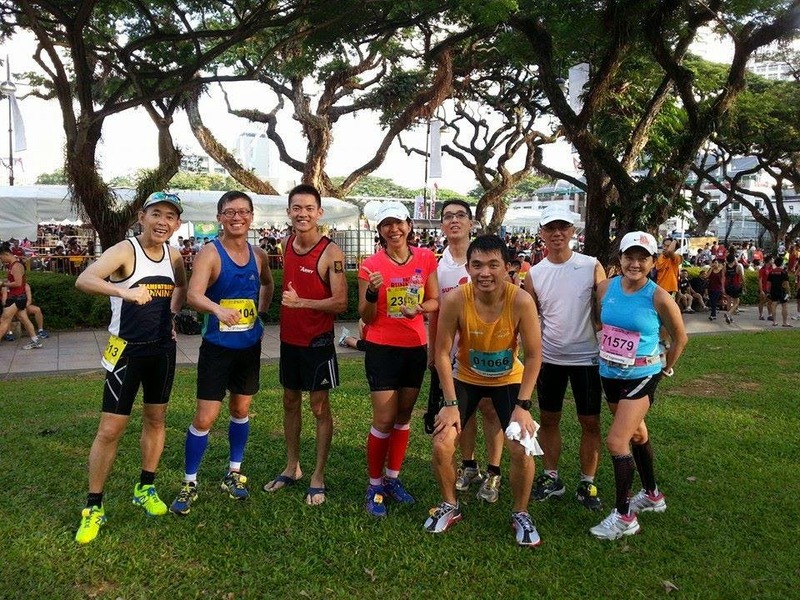 After collecting the well deserved finisher tee-shirt and medal, the Kingfishers gathered at our usual post-race spot near the Tan Kim Seng fountain. Lots of happy faces and congratulatory handshakes, and of course, victory photos and jump shots. 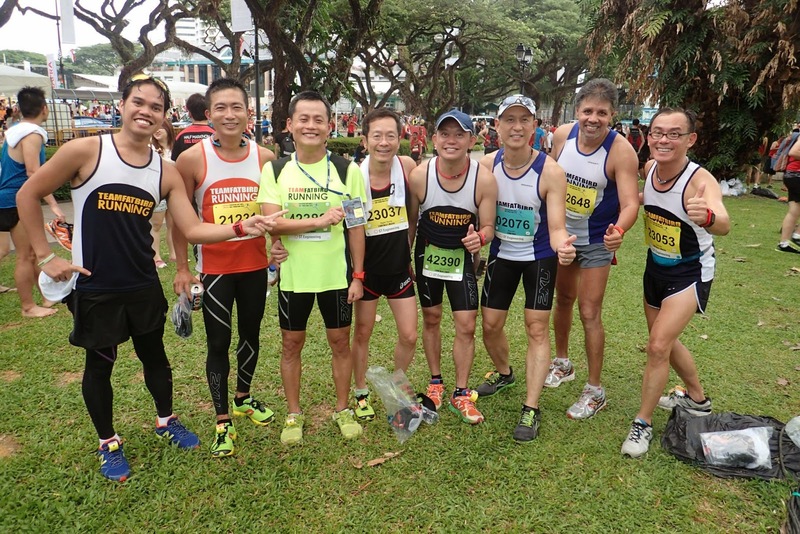 Overall, it was a well organized AHM14 and a good set of results and performances for the Kingfishers and FatBird Runners. 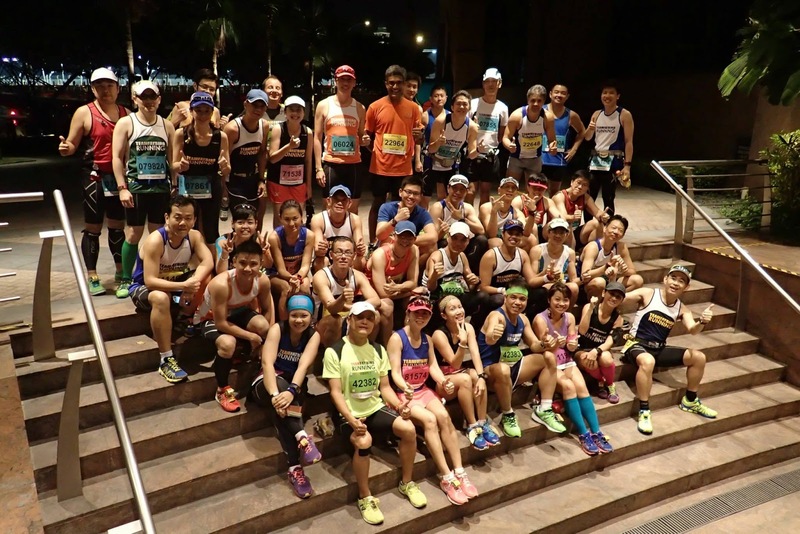 Special mention and thanks to the AHM14 organizing committee for involving Team FatBird in their route planning and incorporating the inputs for a much better route and accurate distance. The Kingfishers Soared At The Bay! With AHM14 nicely wrapped up, Team FatBird will be starting our next training program, Operation Sunbird 2014 in a fortnight. 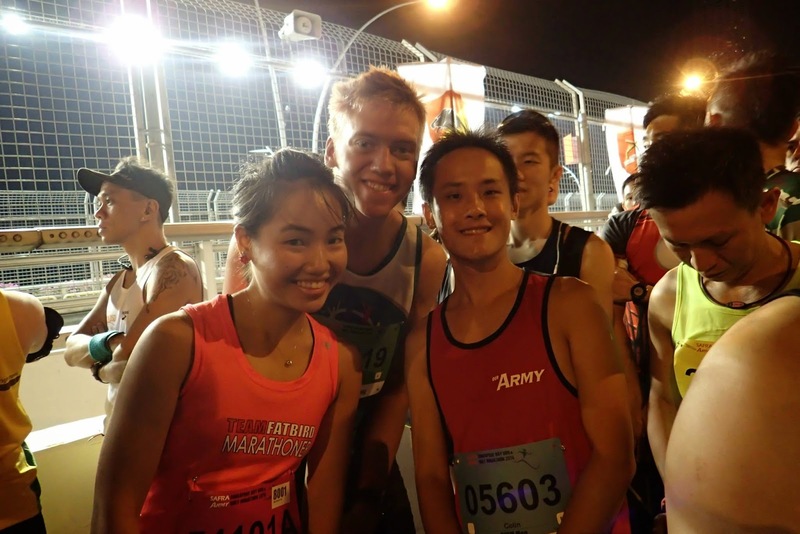 We look forward to this structured 12-weeks of training to ready ourselves for yet another good race at the Standard Chartered Marathon Singapore (SCMS) 2014!